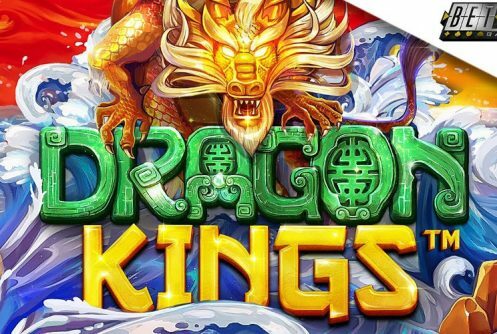 Dragon Kings is a medium to high variance video slot from Betsoft that’s played on a 3×5 reel set. It comes with an innovative 6th reel that contains a magical flaming pearl that doubles all free spin wins. When the magical flaming pearl combines with the dragon king the jackpots are unlocked. 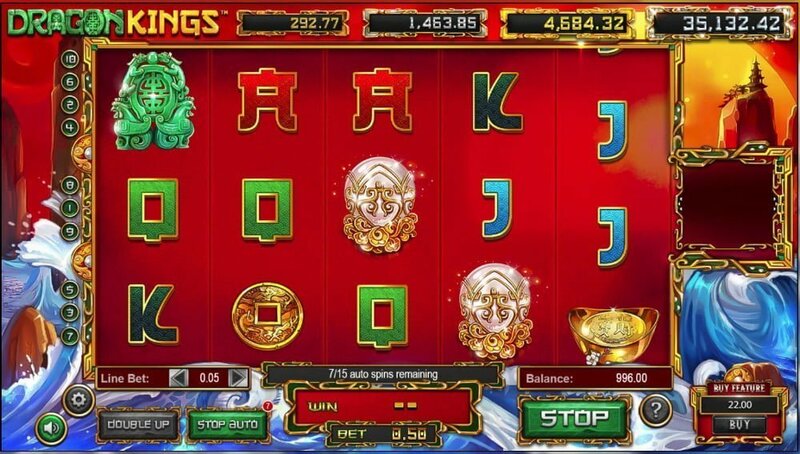 It’s a Chinese themed slots where powerful and magnificent dragons reign supreme upon the reels. Great rewards await those who can best them, the top cash prize (non-progressive) that’s awarded on a single spin is 280,753 coins. Symbols on the reels include lucky coins, dragons (Azure, Black, Red and White), jade figurines, koi fish, cards from Jack to Ace (low value symbols), dragon king (expanding wild) and the magical dragon pearl (scatter). The gold coin offers the biggest cash prize, 5 of them on the reels at the maximum bet pays 1,000 coins. Bear in mind that each dragon has its own set of rewards. The middle reel plays host to the mighty Dragon King, the symbol is unique because it comes with a multiplier of 2x (doubles all wins). 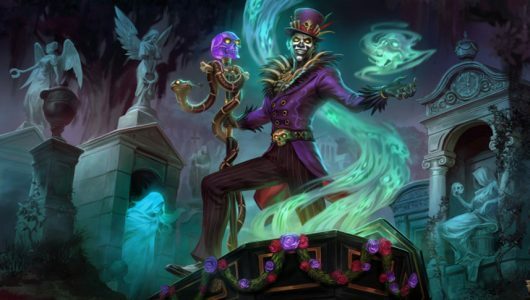 Furthermore, it holds the keys to the 4-tiered jackpots (bronze, silver, gold and diamond). When 5 dragons (all are wilds) and the magical pearl appears in a winning combo you’ll pocket a mammoth 2,000x your stake! The RTP (average return to player percentage) of Dragon Kings is 95.20%. Playable on mobile phones and PC desktops the coin range is 0.01 to 1.00. A Gamble feature allows players to double their wins by picking heads or tails. The maximum amount of credits that can be wagered on a single spin is $10. If you have the bankroll we recommend that you play it at the maximum bet. At an average bet of $5 per spin we had a couple of wins of around 40x our stake during the base game. The Auto Play function spins for a selected number of times. The dragon king is an expanding wild that appears only on the third reel (middle reel) doubling all wins (multiplier of 2x). The free spins bonus mode is triggered when 3 or more magical dragon pearl scatters pitch on reels 1 to 4. 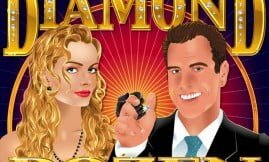 The pearls are proportionate to the free spins, for instance, when 3 pearls appear you’ll get 6 free spins, 4 pearls awards 10 free spins and 5 awards 15 free spins. 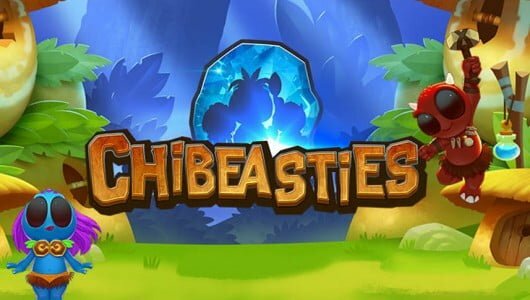 Betsoft added another deft touch to the game. You’ll notice a 6th reel to the right end of your screen, when the magical dragon pearl appears on the sixth reel each free spin win is doubled! This is not all. The free spins feature can be re-triggered meaning that an indefinite amount of freebies can be won. The Azure Dragon gives you 1 re-spin. The Black Dragon triples (3x) all wins. The White Dragon replicates itself meaning that all wins are doubled by it. The Red Dragon awards a random cash prize up to 400x your stake. 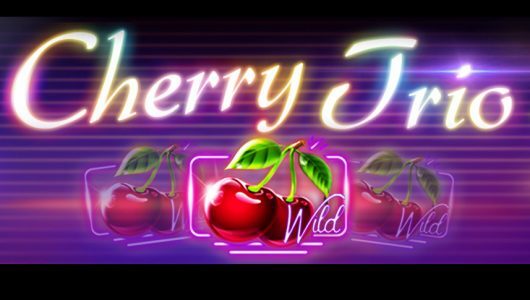 If you’re not prepared to wait for the free spins feature until it’s triggered, the ‘Buy’ feature allows you to buy into the free spins with a tally of 30 free spins and a triggering free spin. 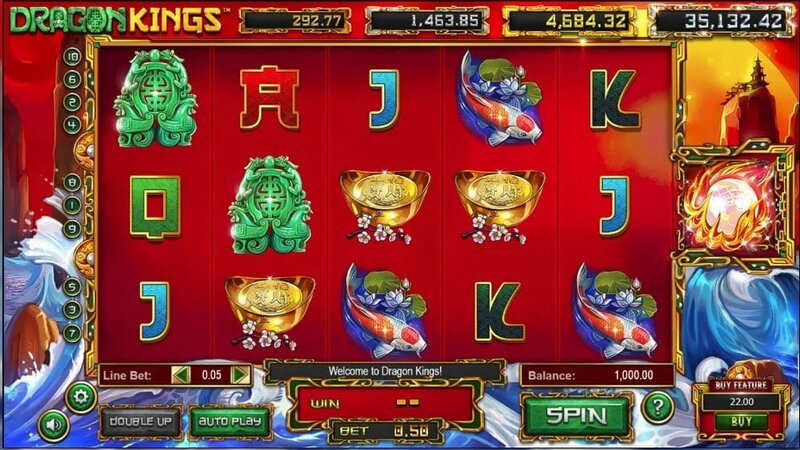 Dragon Kings does not have a pretty face but it’s kitted with high-impact in-play bonus rounds that creates heart-pumping excitement. 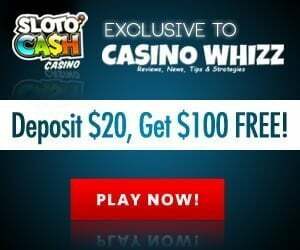 With a re-triggerable free spins feature the big wins occur here not to mention the various dragons that keeps the credit meter ticking over with every spin.